In celebration of the ESEH conference in Zagreb, from 28 June to 2 July 2017, we are excited to present the first Special Virtual Edition of Environment and History. The collection is available to download at absolutely no cost from this page in both PDF format (3.8 MB, suitable for laptops and ipads) and epub format (1.9 MB, readable using ibooks and other mobile apps). If you don’t want to download the whole issue, we offer a summary PDF (a much smaller file, containing the introductory essays and links to the papers on the IngentaConnect platform - subscription required). 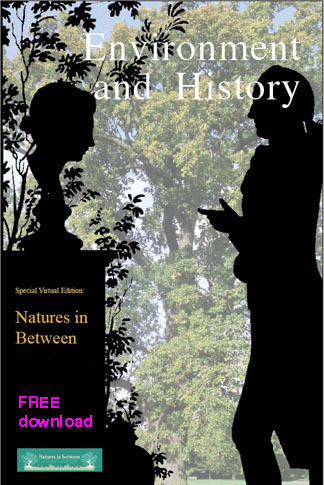 The Special Virtual Edition assembles 15 papers from our archives (1995–2017) that reflect on the conference’s theme of ‘Natures in between’, with an introduction by E&H editor Karen Jones and commentaries by the Chair of the conference programme committee, Marco Armiero, and ESEH President Dolly Jørgensen. We trust that this substantial free sampler will introduce new readers to the extraordinary range of scholarship published by Environment and History and remind those already familiar with the journal of our position at the forefront of this dynamic and ever-expanding field. ISSN: 0967-3407 (print) 1752-7023 (online). 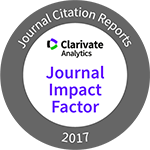 Environment and History has a Journal Impact Factor (2017) of 0.538; 5-year impact factor 0.792. A regular feature of the journal is a section on current activities in environmental history, including the ‘Notepad’ of the European Society for Environmental History. ESEH members also enjoy reduced subscription rates. Articles appearing in Environment and History are abstracted and indexed in America: History and Life, Arts and Humanities Citation Index, British Humanities Index, CAB Abstracts, Current Contents/Arts and Humanities, Current Contents/Social and Behavioral Sciences, Environment Abstracts, Environmental Policy Abstracts, Forestry Abstracts, Geo Abstracts, Historical Abstracts, History Journals Guide, International Bibliography of Social Sciences, Landscape Research Extra, Referativnyi Zhurnal, Rural Sociology Abstracts, Social Sciences Citation Index, Social Sciences in Forestry and World Agricultural Economics. For queries regarding submissions, please contact the Editor, Karen Jones, School of History, Rutherford College, University of Kent, Canterbury, Kent, CT2 7NX, UK.